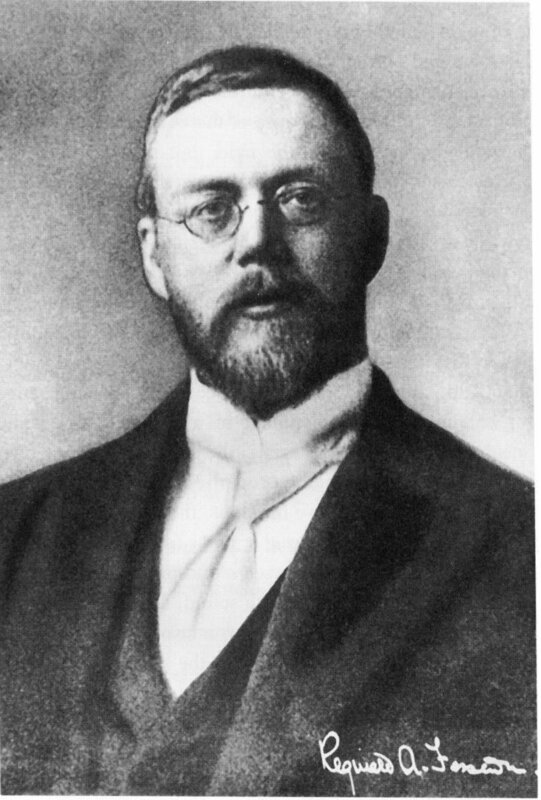 Reginald Aubrey Fessenden (October 6, 1866 – July 22, 1932) was a Canadian inventor who performed pioneering experiments in radio, including the use of continuous waves and the early—and possibly the first—radio transmissions of voice and music. In his later career he received hundreds of patents for devices in fields such as high-powered transmitting, sonar, and television. Wikipedia contributors, “Reginald Fessenden,” Wikipedia, The Free Encyclopedia, http://en.wikipedia.org/w/index.php?title=Reginald_Fessenden&oldid=614703378 (accessed August 30, 2014).